Four students were injured in Bule Hora University as anti-TPLF protesters clashed with regime supporters. Classes have been disrupted and the pro-TPLF students have reportedly left the campus. 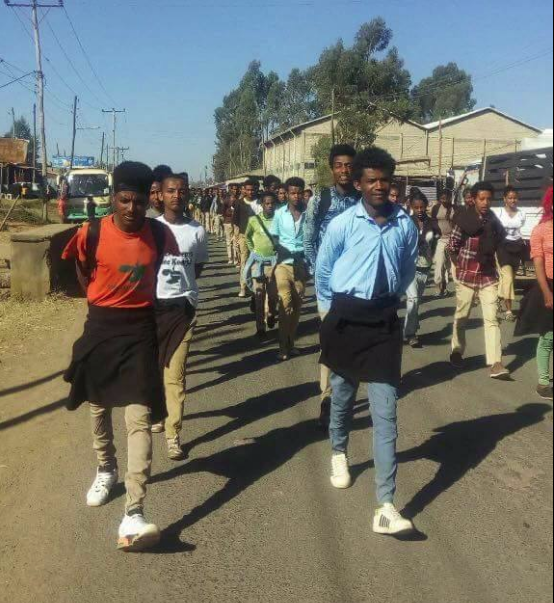 In the the town of Ambo, the epicenter of anti-TPLF protests, security forces arrested 50 students of Ambo University. Security forces accused that the students have coordinated and led the protests. Anti-TPLF protests have continued in Arba Minch, Adigrat, Wolkite and Asosa Universities. According to the Ministry of Education, 20 of the 33 Universities in the nation have been hit by Anti-TPLF protests and classes have been disrupted with a considerable number of students having left their campuses.